Ironically, Sharma almost opted to skip the tournament in South Africa, after thinking about taking a break during his breakthrough year ahead of the tournament. Thankfully for him, he opted to go on – becoming the youngest ever Indian to win a European tour title in the process – and with some comfort too, beating Anirban Lahiri’s 27 years when he won the Malaysian Open in 2015. However, there’s still a long, long way for Shubhankar Sharma to go before he can be considered one of the elite. So much so, he isn’t even amongst the golf betting odds with leading bookmakers for the British Open. 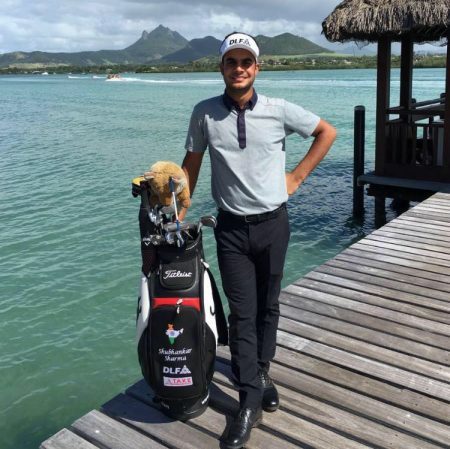 Could Shubhankar Sharma Win a Major in 2018? Of course, that’s not to say the young Indian couldn’t win a major in 2018. Both Tiger Woods and Jordan Spieth won their first Majors’ at the age of 21 – the very same age Sharma is. So, if Sharma were to work his way to glory this year, he will quickly find himself in the record books. Standing in Shubhankar Sharma’s way heading into 2018, though, are the likes of Jordan Spieth, Dustin Johson and Rory McIlroy, all of whom are in their mid-to-late twenties or late thirties – which is positively young in a professional golfing career. The 2018 British Open should likely come too soon for Sharma to make a serious impression, of course, with Spieth winning the title in 2017 (as well as Johnson winning it in 2017 and McIlroy claiming the title in 2014), but that’s not to say the young Indian can’t continue his progression in 2018. Predicting the next golfing star, after all, is no easy feat. The “next Tiger Woods” doesn’t necessarily come when expected, nor does he come from where expected. That means that while Shubhankar Sharma has a shot at superstardom in 2018, the key for him will be consistency. Undoubtedly though, the biggest challenge facing Sharma is the “new” generation of golf’s superstars, all of whom are battling it out to become the sport’s number one star attraction and icon. Of course, in the midst of all the jousting, if the 21-year-old Indian can keep a steady head in the coming years, he may just take the mantle for himself.